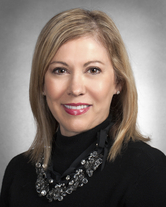 Barbara Sinkovec has been a licensed Texas REALTOR since 1989 and specializes in Fort Bend, Brazoria and Harris County. As a native Houstonian, Barbara knows Houston and its surrounding areas very well. She works in both Residential and Commercial. Barbara is well versed in real estate, having worked as a REALTOR Relations Director, a Marketing Director, a sales representative for new homes, including custom homes and as a Sales Manager. Barbara has her GRI (Graduate REALTOR Institute), CBR (Certified Buyer's Representative), ABR (Accredited Buyer's Representative), ALHS (Accredited Luxury Home Specialist), SFR (Short Sale and Foreclosure Resource) & MCNE (Master Certified Negotiation Expert) designations. Member of NAR, TAR, HAR & WCR. Past President (2002) of the Fort Bend Chapter WCR (Women's Council of REALTORS), where she also served as Chairman for the Hospitality Committee in 1999, 2000 Treasurer and also President-Elect in 2001. When Barbara first started out in real estate, she was awarded the 'Rookie of the Year Award' and has received numerous other awards, including Top Producer Awards.